Have you recently looked at your pool and dreamed of incorporating some new and exciting additions to it or noticed certain areas which could use some improvement? The fall is a great time to renovate the pool not only because you may be using your pool less, but because remodeling the pool now means that it will be all ready for when you reopen your pool in the spring. LED pool lighting can be changed to suit an occasion or a holiday, and some options even allow you to create exhilarating light shows. 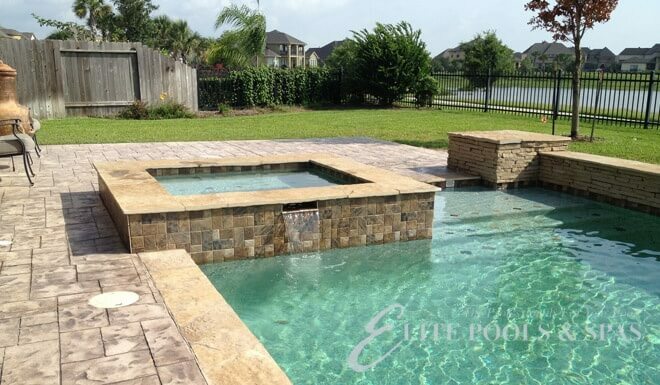 Want to update the look of your pool without breaking the bank? Consider updating your waterline tiling. This will improve the appearance of your pool and it may even be necessary if you have cracked or broken tiling. Fall is a great time to upgrade your pool’s equipment to more energy efficient systems. A variable speed pool pump is one of the most popular options as it uses less energy and it may even qualify for an energy rebate. Solar powered features such as solar powered heaters and automation systems like robotic cleaners are also great options.